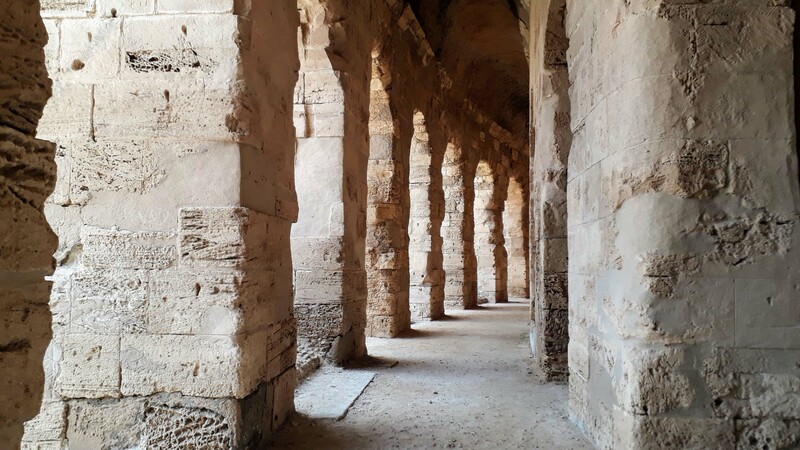 The Amphitheater of El Djem (or El Jem) has been the setting of many movies. These include, for example, “Monty Python’s Life of Brian” and “Gladiator”. 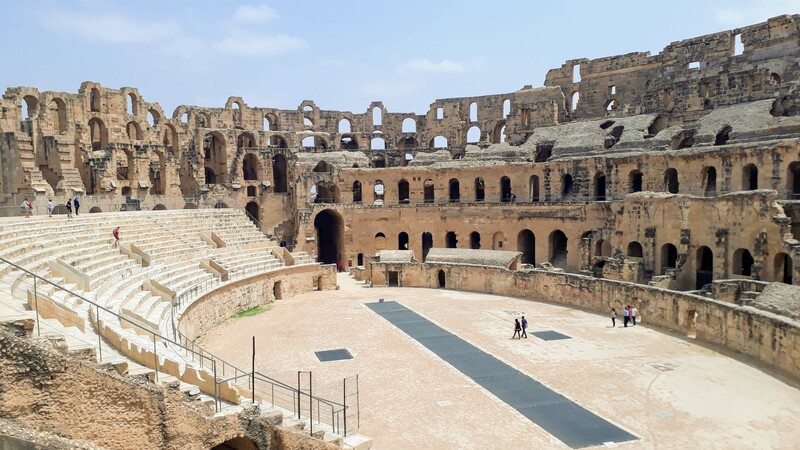 With a capacity of 35,000 spectators, it is the third largest amphitheater of the Roman Empire after the Colosseum of Rome and the Roman Amphitheater of Capua. 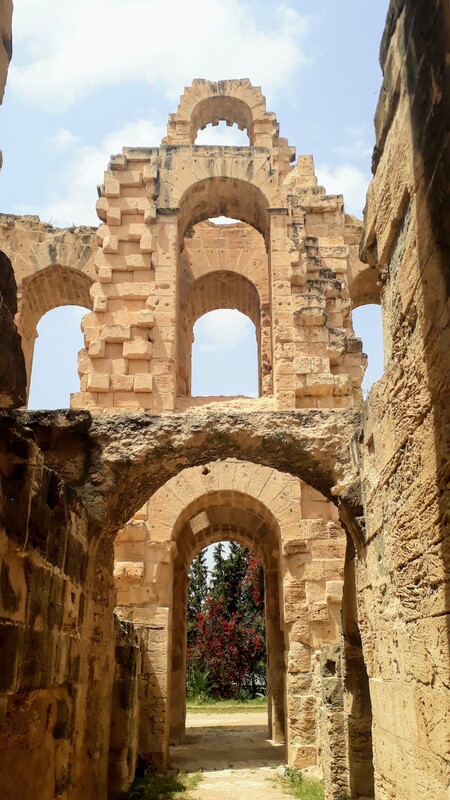 The remains have been a UNESCO World Heritage Site since 1979. However, it was not built by the Romans. These had built a much smaller amphitheater for just 2,000 people. 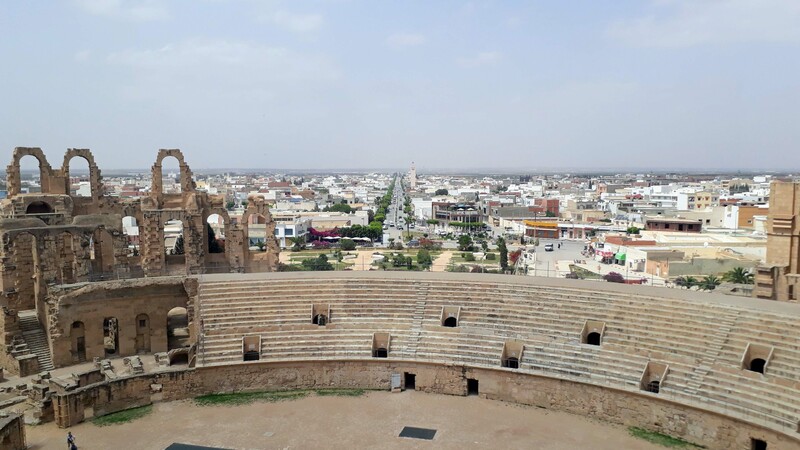 But since El Djem’s population, who became rich through the production of olive oil, wanted a theater with room for every single inhabitant, they built that famous Amphitheater of El Jem. 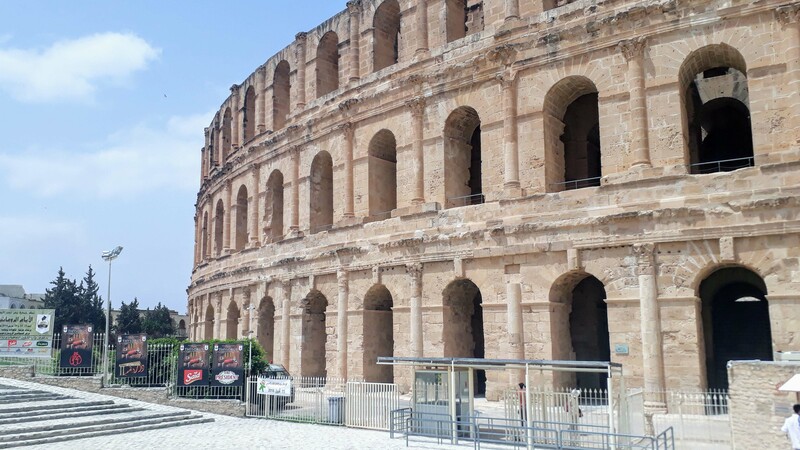 It has never been used for gladiatorial fights and the like. Instead, the inhabitants of El Djem barricaded themselves here against the Roman tax collectors. To prevent this, the Romans tore down a lateral face, which can still be seen today. Nowadays, the amphitheater is used for concerts such as an annual jazz festival. 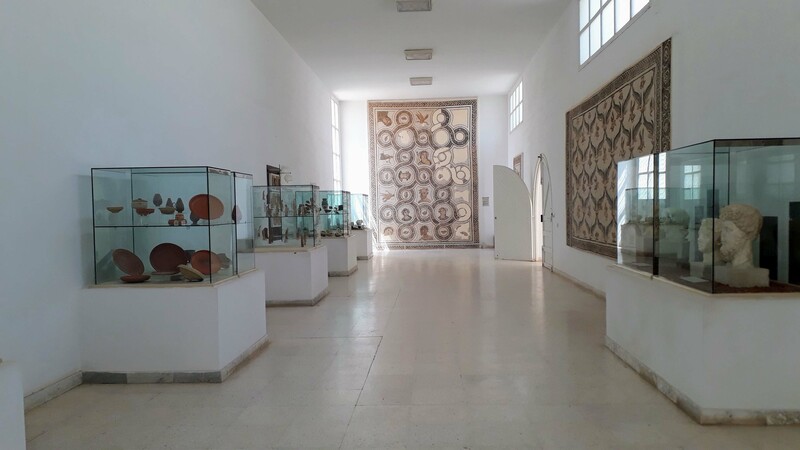 The Museum of El Djem in the immediate vicinity of the train station is included in the ticket price for the amphitheater. 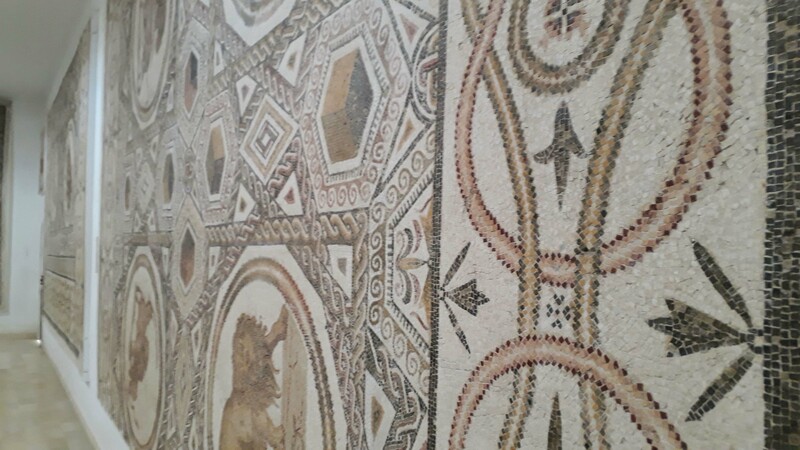 Here you can admire numerous archaeological discoveries from the area such as mosaics and visit an archaeological site. With the ISIC card (international student card) you also get the entrance to the amphitheater and museum for free. Otherwise you pay 10 TND (about 3 Euro) per person. 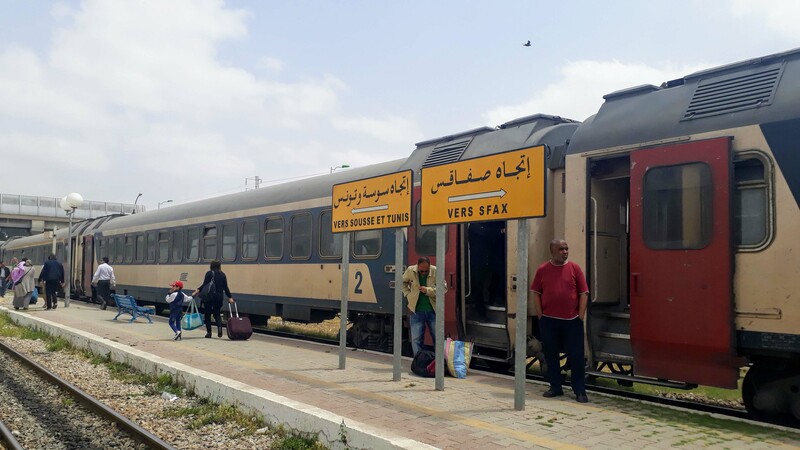 Several trains run daily on the Ligne de la Côte, the main line from Tunis to Sfax, where also El Djem is located. 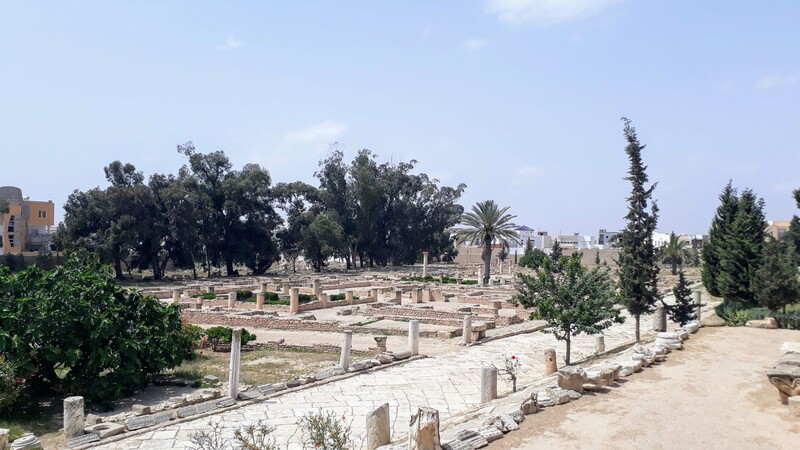 To Tunis you need about three hours, to Sousse and Sfax one hour each. Due to the small size of El Djem you can easily walk within the village.